Andy Simmons writes for children and young adults. He also writes articles in several magazines for children. Look for more from Andy in the near future. 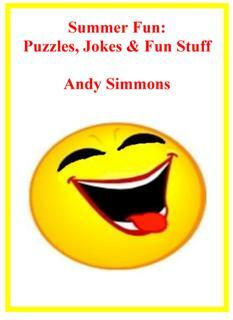 Jokes, puzzles, quizzes and a lot of fun stuff to keep you and your child entertained for hours.